Born of Necessity, the First of the Small Cents! During the second half of the 1850s, the continued striking of large cents by the United States Mint became impractical. The mint was paying more for the copper to strike the coins than their face value. Merchants were buying them by the barrel (how coins were released by the mint!) and melting them down for a quick profit. 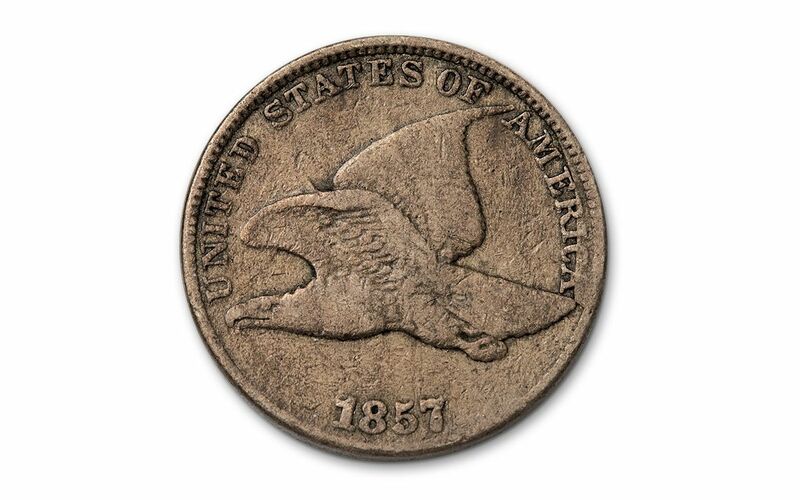 The mint devised a solution in 1856 with the creation of the Flying Eagle Cent. Struck from copper nickel, it was the first of the "small cents" - the same size that is used by the mint for cents today. The Flying Eagle Cent is considered by many to be the most attractive cent ever minted, showing a flying eagle on the obverse and a "Nature's Bounty" wreath on the reverse that encloses the denomination. 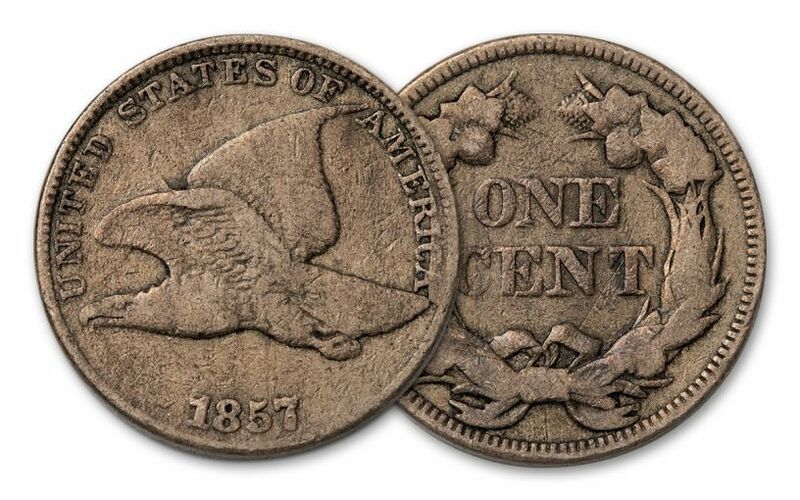 However, the Flying Eagle Cent is the shortest-lived denomination of all cents. 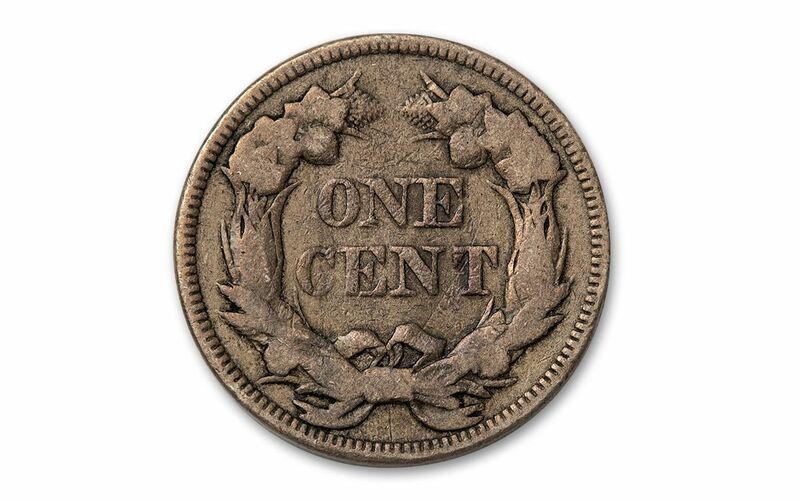 The design was only struck for three years, giving way to the iconic Indian Head Cent in 1859. Fortunately, our buyers have found a number of Flying Eagle Cents from 1858, the second year of regular production. Each of these cents is in collectible grades of Very Good to Fine condition (VG/F). It's a scarce survivor of a bygone era and a vital first in numismatic history. Take advantage of this opportunity while you can -- order yours now!